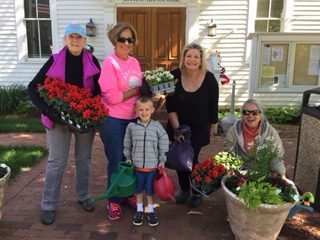 Each year Saugatuck sixth graders assist the garden club with their efforts to beautify the city. 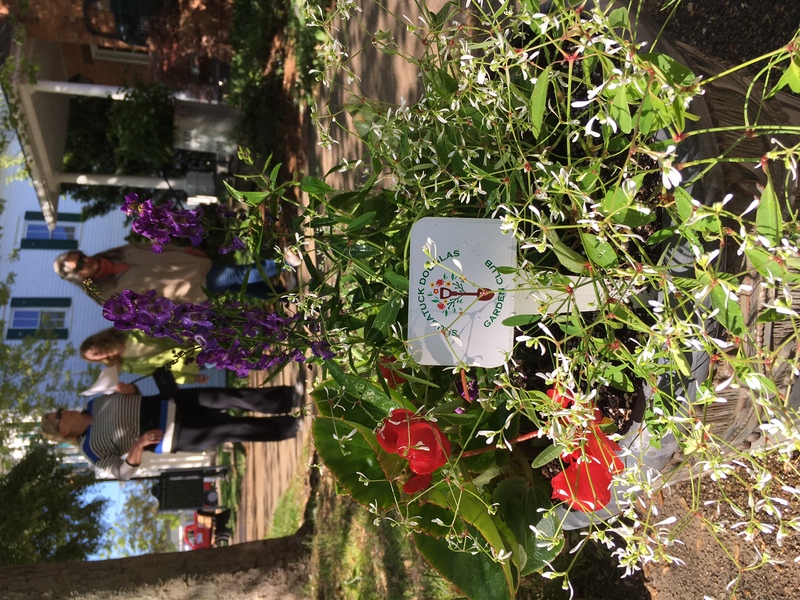 Planters are placed along the city sidewalks, then the students join the garden club members in planting lovely flowers. This project fosters a sense of pride in the community from our young people and teaches them how they can make a difference. Based on the number of volunteers who sign up, the teachers divide the students into groups of four to five kids. They will be joining us at 9:00 am. The kids sit down for a demonstration about types of flowers, how to plant a perfect pot, a little bit about the garden club, community service, etc. The mayor of Saugatuck often gives an encouraging speech. The group will do a practice pot, meet their assigned volunteer, pick out their flowers to plant…then set out with SDGC members to work on their pots. We traditionally finish with cookies and refreshments at Pumpernickel’s. 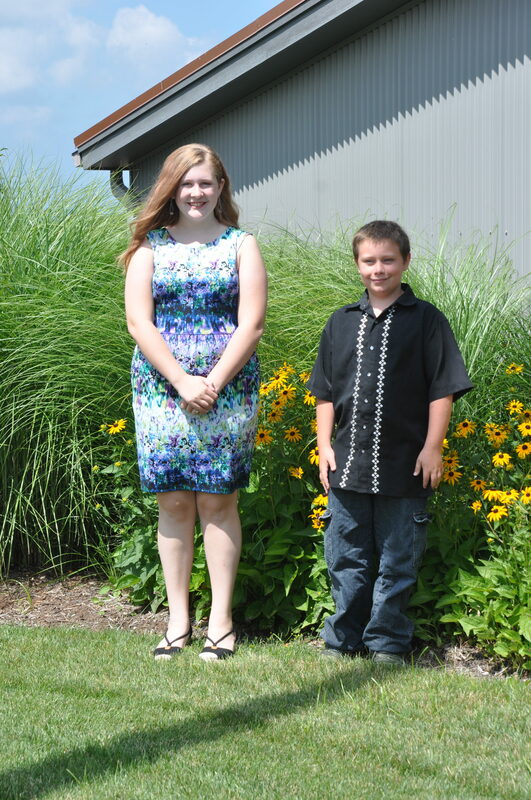 Our 2017 summer waterers are Sydney Baker and Caleb Wilson. They were hired based on the winning essays they wrote. The sixth grade teachers reviewed all the essays submitted and selected this wonderful team. 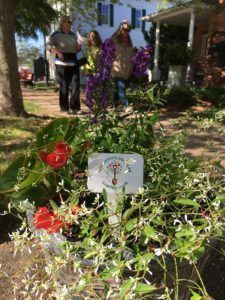 They apparently can do much more than write…have you seen how healthy and beautiful the flowers are in our 42 Community Pride Pots around Saugatuck? I don’t think the pots have ever looked better. 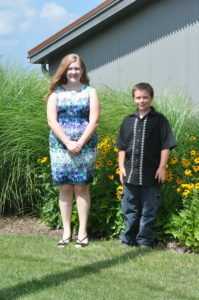 Meet Sydney and Caleb. Enjoy some of the photos from this fun morning. This entry was posted in Community Pride on June 7, 2017 by Denise Adams. 2017 Saugatuck Middle School Fun! 2017 SDGC Member Garden Award goes to……. Would you care to make a tax deductible donation?